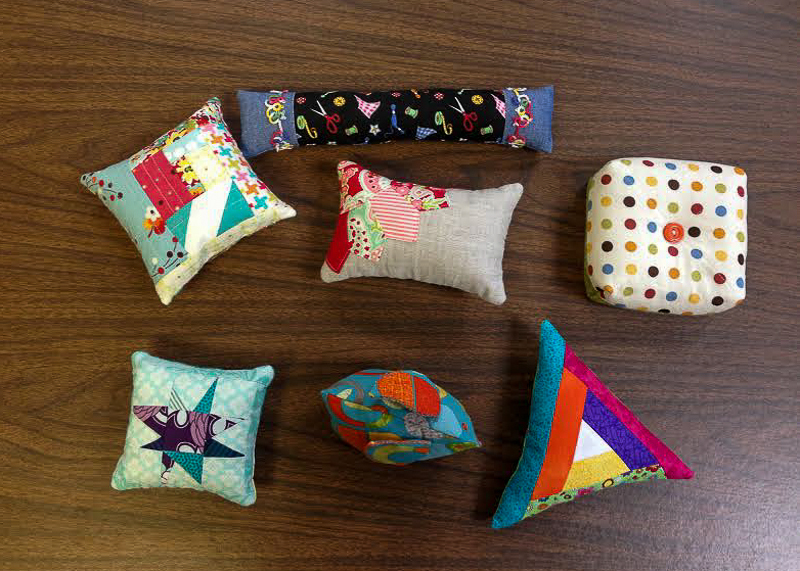 Last Saturday at our March meeting of the Greenville Modern Quilt Guild we had a pincushion swap. 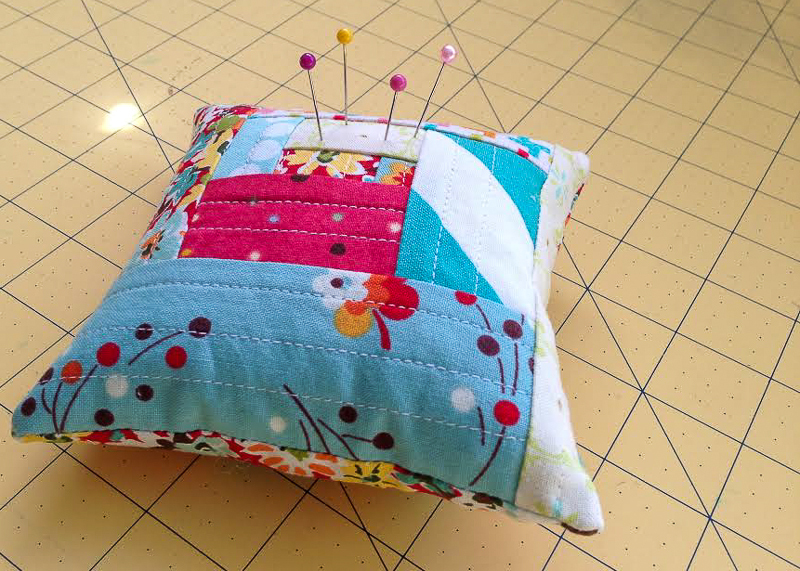 There were no rules or regulations as long as it was a functional pincushion. For February’s meeting I taught a little demo on the quilt as you go (QAYG) technique, and I really enjoyed it so I decided to make a little mini QAYG log cabin pincushion for my swap entry. I bought some crushed walnut shells from a quilt show several years back and have always meant to make a pincushion but never got around to it. We all have those kind of projects sitting around right? I was glad to have the push of the guild swap to force me to make one. Like I said, I did the QAYG method with a loose version of the log cabin block. Also I stuffed it 1/3 of the way with the crushed shells and then finished it off with fiberfill to give it a nice cushy filling. 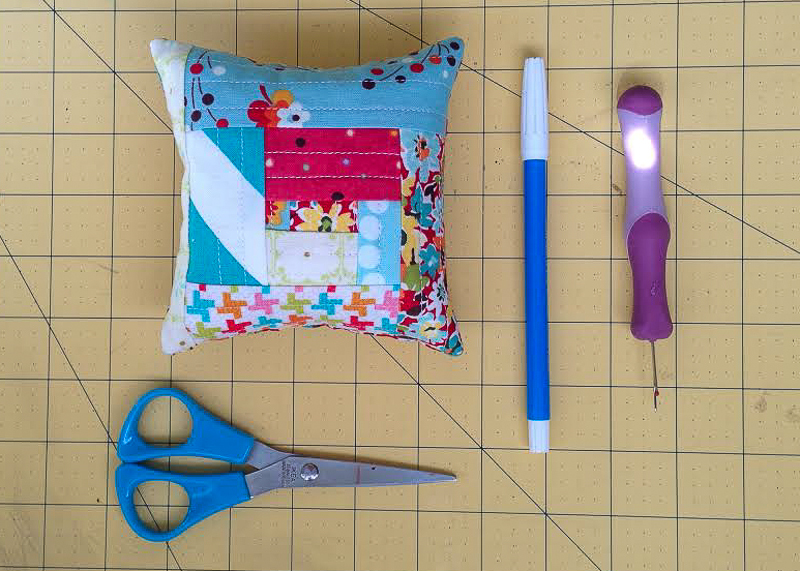 Now that I realize how easy it was to make the pincushion, I want to make another one for myself! Here’s a picture of all the pincushions entered. We didn’t have as many participants as we were hoping because it was a low month attendance-wise, but it was still a fun swap. And check out what I got to bring home. That lovely one in the middle with the bonnie and camille half dresden…yeah that’s mine. Made by my lovely friend Cheryl. So happy that I got hers in the random draw. 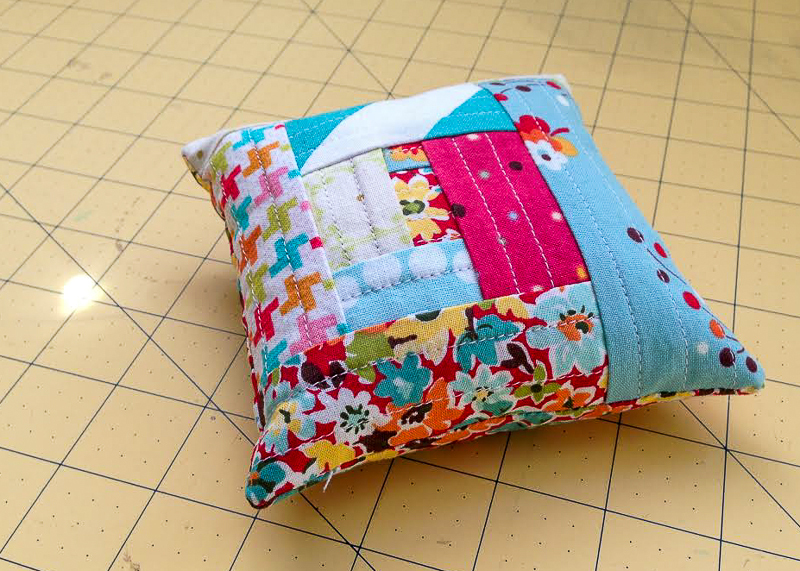 This entry was posted in Sewing and tagged Greenville Modern Quilt Guild, log cabin block, pincushion, QAYG, quilt as you go, quilt guild, quilted pincushion by oliver's fancy. Bookmark the permalink. Those are cute. I made owl pincushions recently.